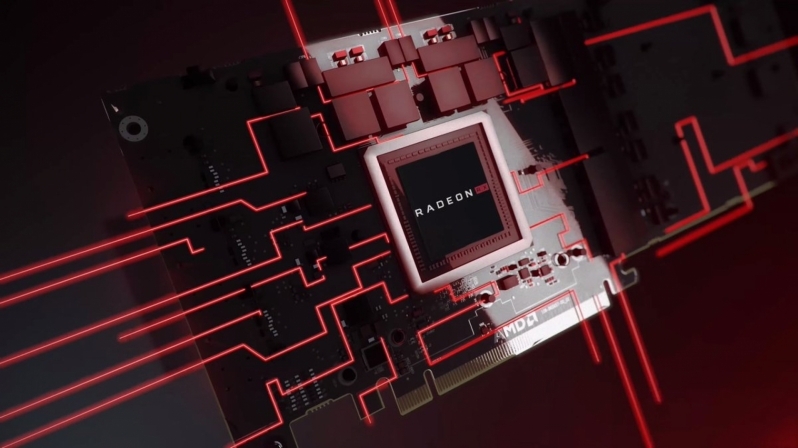 Rumour has it that AMD is preparing to announce their Radeon Navi graphics architecture at E3 2019, rather than Computex 2019, which takes place a few weeks earlier. E3 2019 will be between June 12th and 14th in Los Angeles, with TweakTown reporting that Radeon's initial Navi offering will deliver performance levels which could "easily" best the RX Vega 64 and come "close" to Nvidia's high-end RTX 2080 in some instances. Yes, this means that Nvidia will still rule the roost with the RTX 2080 Ti, but it looks like Navi will enable AMD to fully compete in the higher volume segments of the graphics market. Navi's full launch will reportedly take place on 7/7, July 7th, perfect timing given AMD's use of TSMC's 7nm lithography. AMD's Navi graphics architecture is also likely to be used to create next-generation consoles from both Sony and Microsoft, a factor which will likely see Navi age well when it comes to AAA gaming. With Computex 2019 and E3 2019 on the horizon, AMD is likely to finally unveil their next-generation graphics architecture, which has so far never been seen outside of years old product roadmaps. At this time, not much is known about Navi, though it is said to be a major departure from AMD's existing GCN-based designs, offering a larger architectural leap than both Polaris and Vega, which is great news for Radeon fans. At this time it is unknown whether or not AMD will offer support for Ray Tracing acceleration through DXR, a feature that is exclusive to Nvidia's RTX series graphics cards. You can join the discussion on AMD's Radeon Navi graphics architecture on the OC3D Forums.